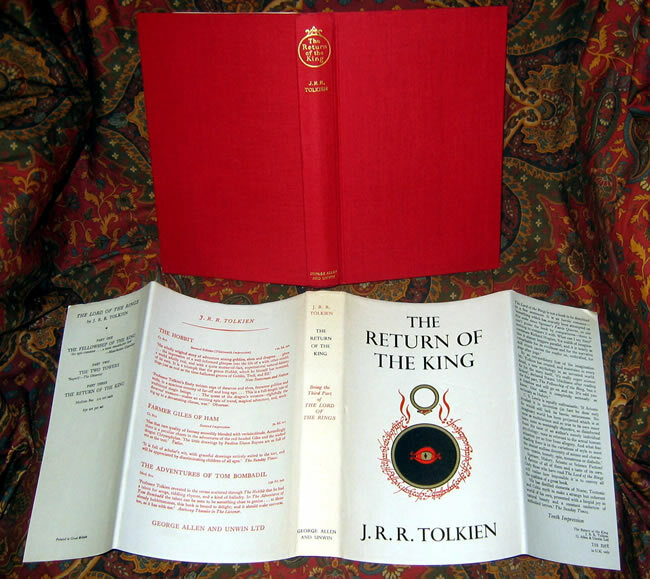 #000544 - "The Lord of the Rings" Allen & Unwin, 1962/1963 13/9/10 impressions, Near Fine/Near Fine matched set - $1100.00 An exceptional Near Fine set of first editions of this classic of fantasy literature. 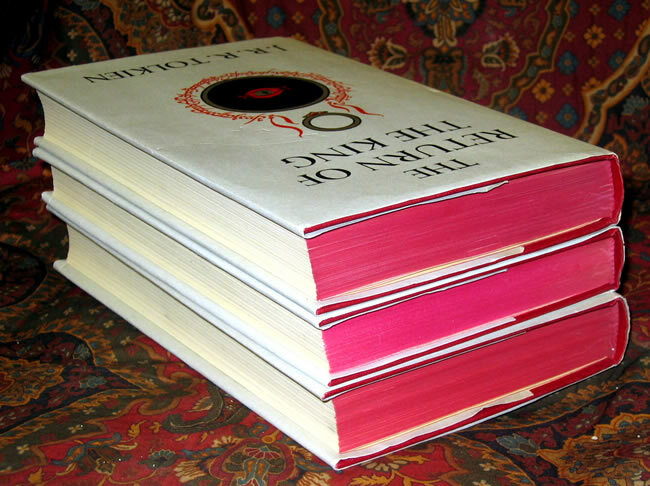 The set is housed in a custom marbled paper slipcase. 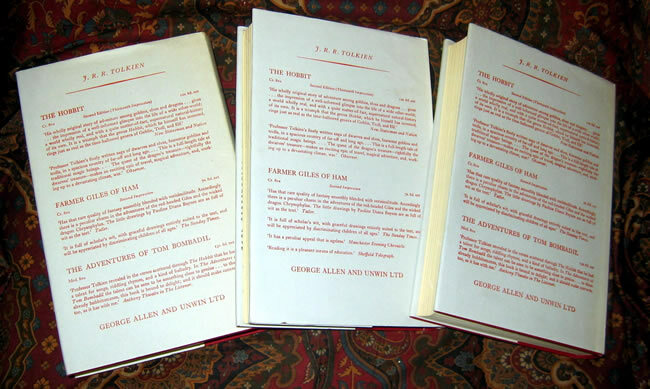 The set is in Near Fine condition, with the same small unobtrusive previous owners name on the FFEP in all three of the books. 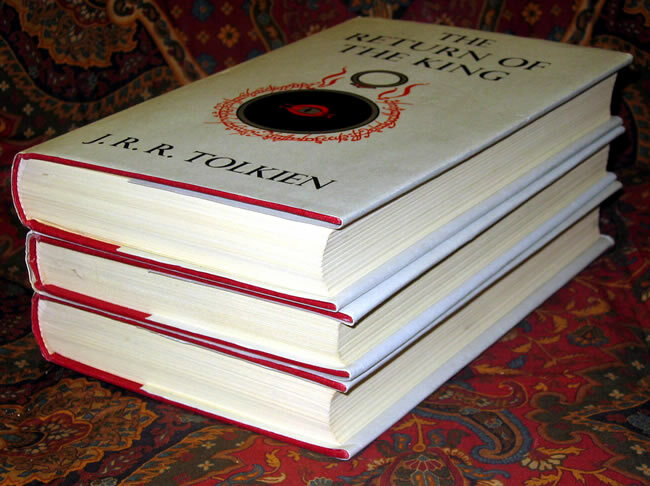 There is absolutely no foxing or offsetting in any of the books, all are clean & bright. 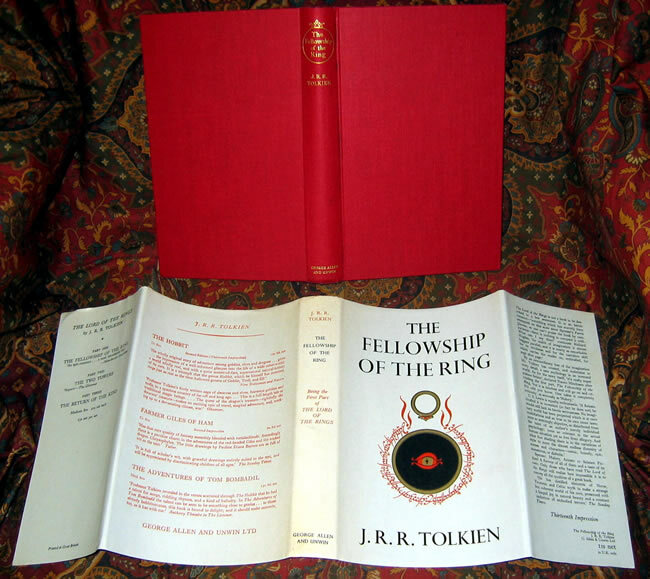 The dustjackets are in beautiful unfaded or tanned condition, with no chips or tears to the edges. 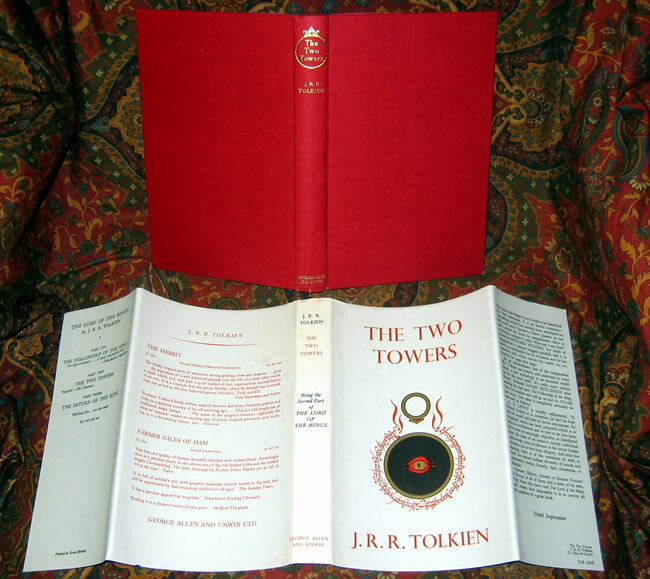 A beautiful matched set, virtually without fault. 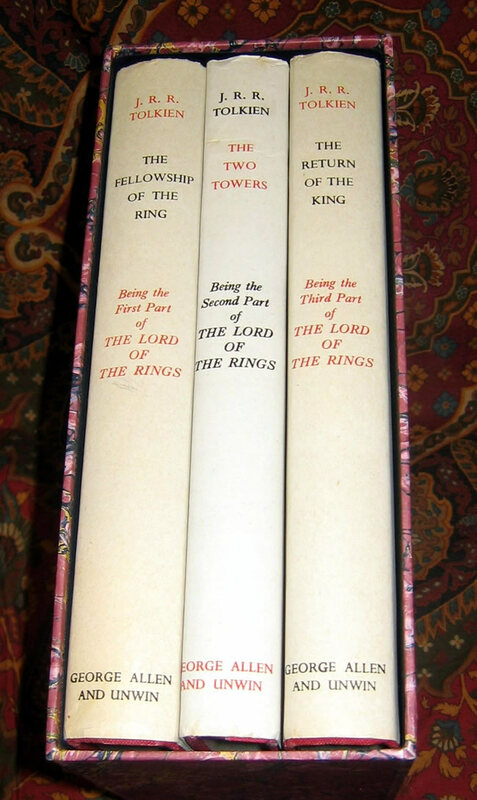 The only fault I could find is a little wear to the bottom of the spine on the Two Towers, no other shelf wear to the edges, and no soiling to the dustjackets.